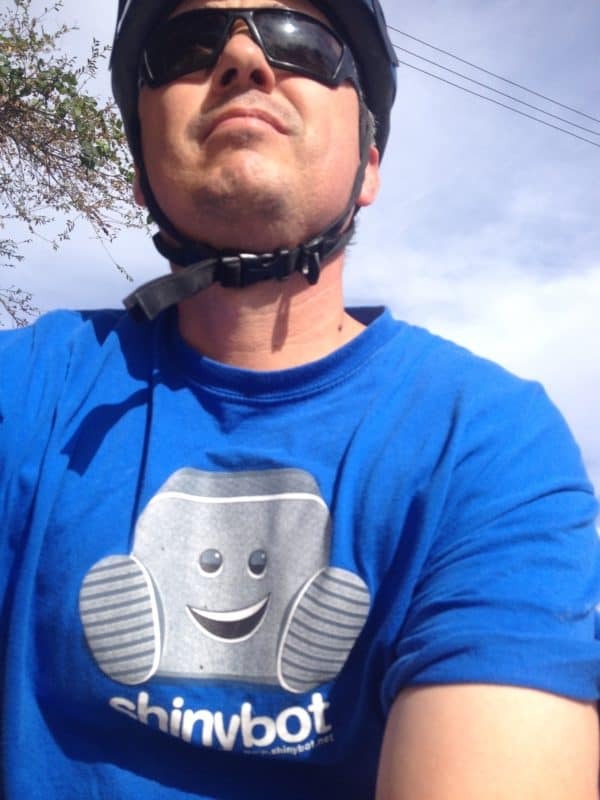 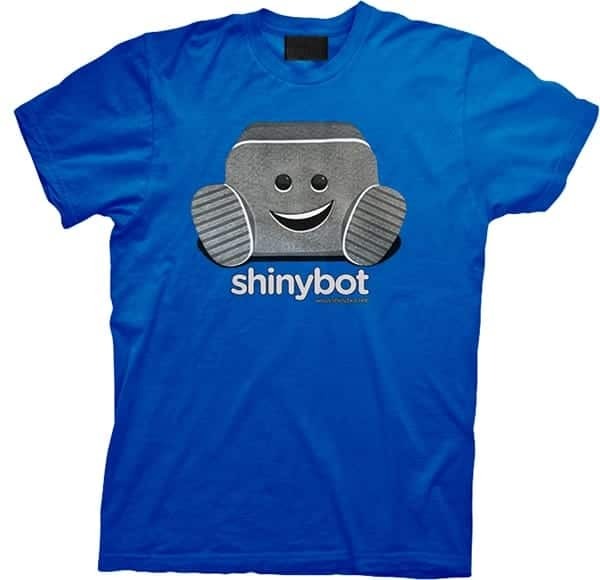 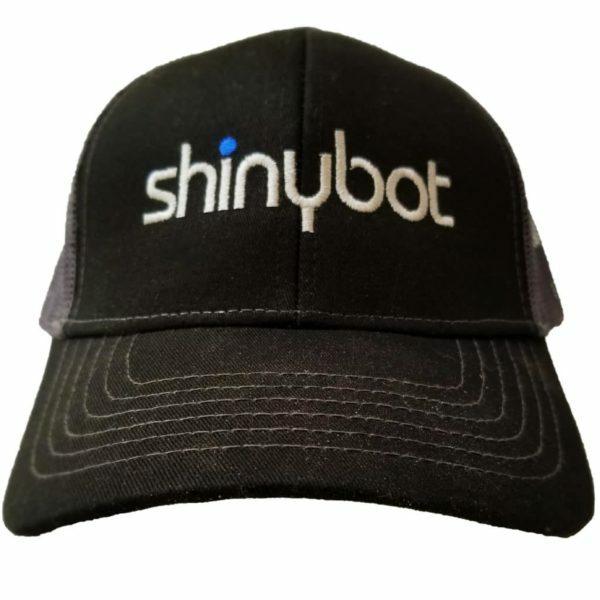 This is the original shirt produced for Shinybot. 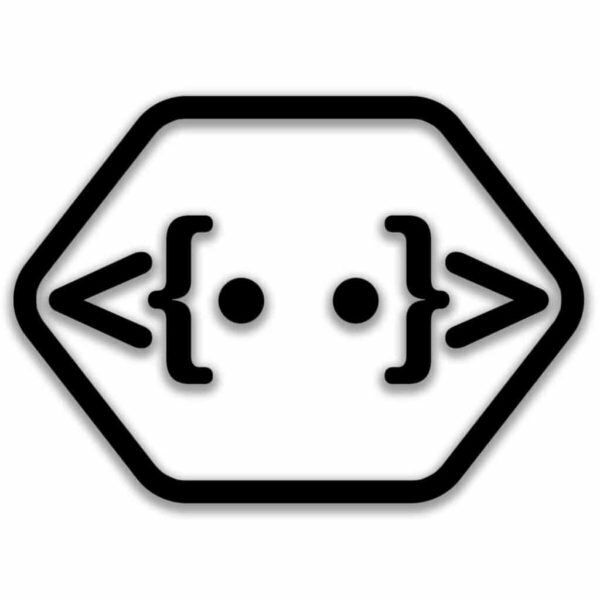 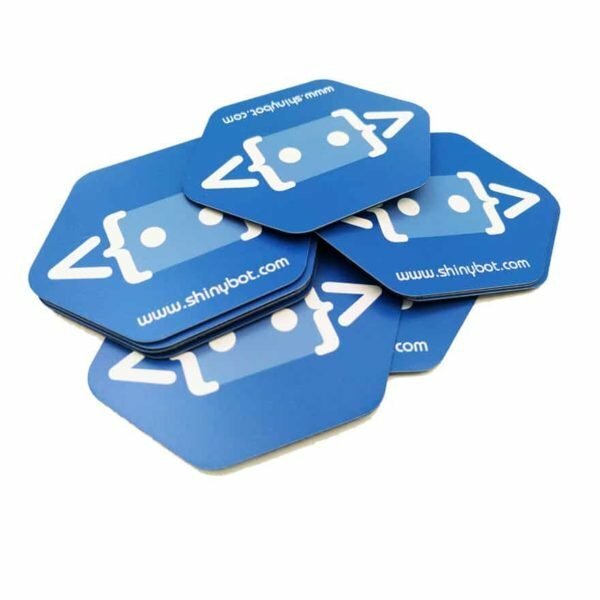 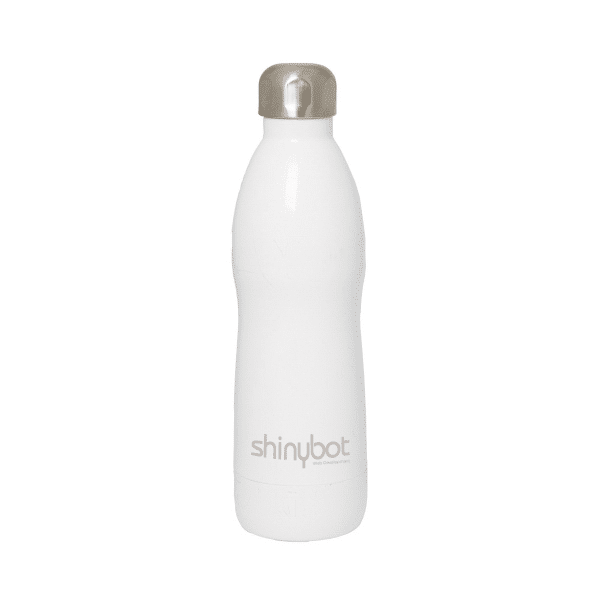 Has our original logo, the cute little robot character with Shinybot underneath. 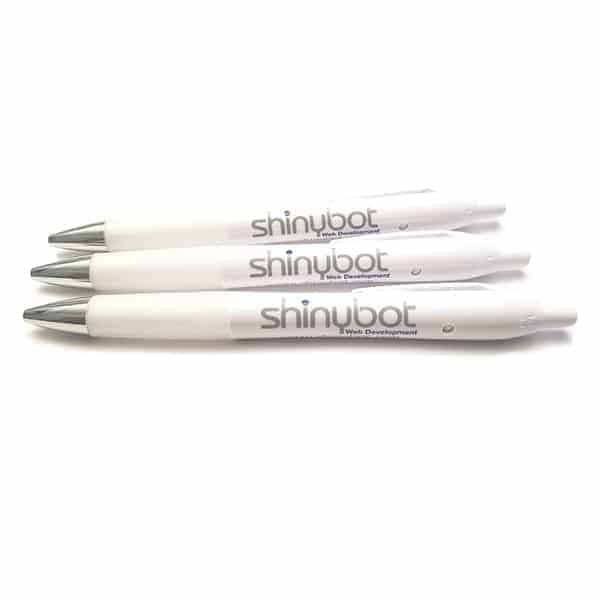 Followed by the url www.shinybot.net. 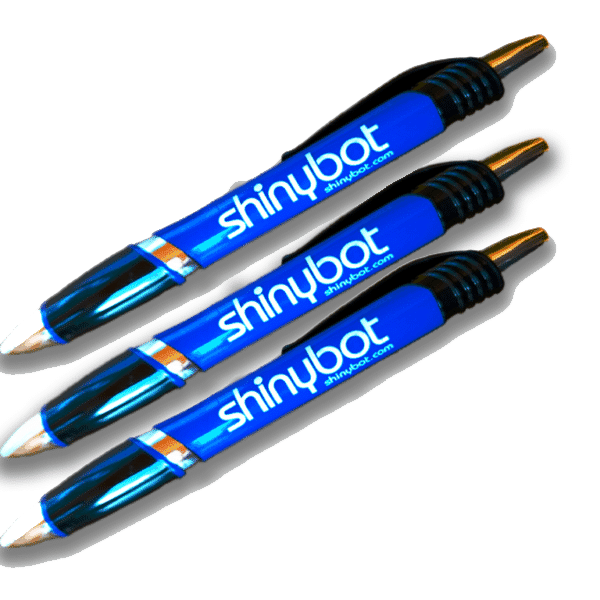 This was before we had acquired the .com domain.